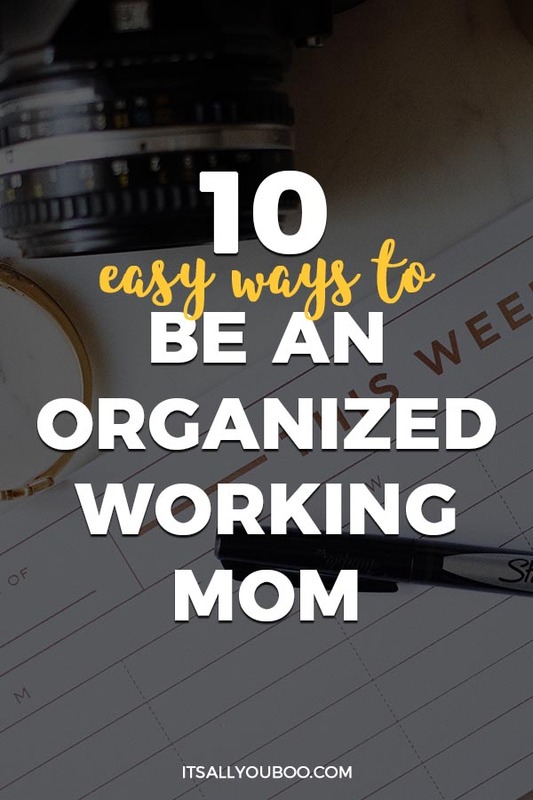 Want to be an organized working mom? Need some time-saving tips for working moms? Being a mom comes with a whole host of responsibilities, and when you combine that with having a job, you will have double the responsibilities which make it very hard to get organized. At some point, you find either your work is suffering because you are paying a lot of attention to your kids or your kids are being neglected because you are putting in far too many hours at work. Well, I have discovered that this does not have to be the case as long as you get organized. As hard as that may seem, the following tips I will share with you will help you achieve organization amidst the chaos of working and being a mum. I know this may sound extremely counterproductive and you may be thinking of abandoning this article already, but hear me out first. I am simply suggesting that you schedule some time every day to do absolutely nothing, just sit for a few minutes or an hour and relax like you are on vacation. This allows your mind to rest and your body too. 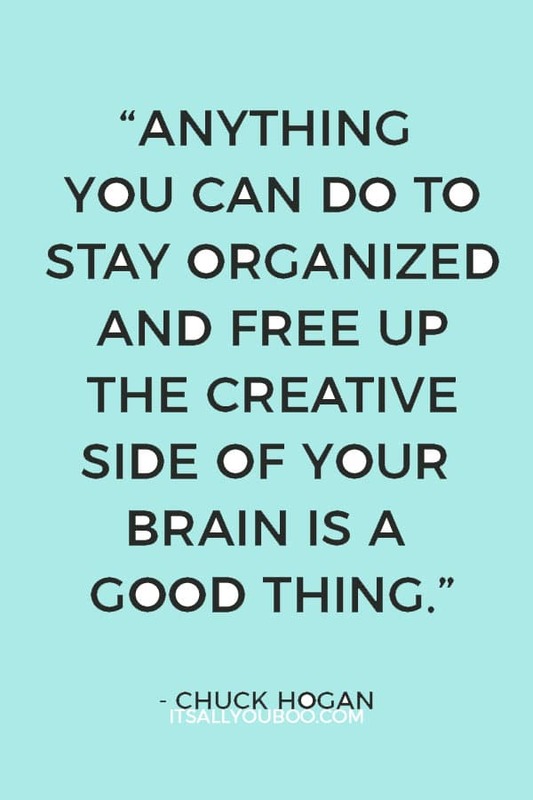 When I started doing this, I actually found I was more productive and I got more creative when it came to ways of getting organized. Some people may choose to meditate and that works even better. As a working mom, you can no longer do things spontaneously, your day needs to function like clockwork and to achieve this you need to plan. Take some time before you go to bed at night to prioritize the different tasks you will need to perform the next day. You can use a pen and paper to write them down and then schedule them. Today there are a number of Apps for working moms you can download onto your phone and then use them to schedule your day you can actually search the phrase “how to be an organized working mom” in the App store. I like the Apps because they can beep to alert you that it is time for a particular task so you do not need to keep checking. Planning at night means you wake up with a purpose and there are very few surprises, as far as urgent things you need to attend to. The virtual assistant Apps, like Asana or Trello, are quite interesting to use and they really make you more organized. The world of technology is always coming up with improved gadgets to make carrying out tasks easier and faster, so I suggest you keep up with these trends. For example vacuums we have today are more specific. By that I mean you will find a vacuum designed particularly for laminate floors or for cleaning tiles floors and these do the work much faster so you can get back to attending to your work and children. So always be on the lookout for efficient modern gadgets that will make your life easier and save money. We working mums will always have small tasks from the two parts of their life that need to be attended to. But, we often fail to do them or forget about them entirely because we do not want to cross the line between work and home. To an extent, you should not. For example, do not treat your children badly simply because you had a bad day at work. 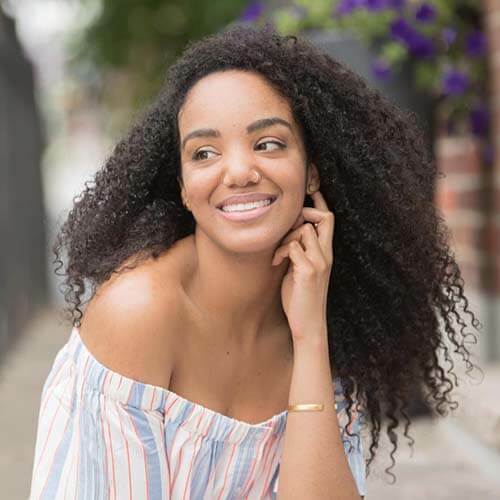 But something like your daughter would like to join ballet summer camp but you need to call in and book, schedule this phone call for your lunch break so that instead of enjoying office gossip the entire lunchtime, you can get your mom-duties done as well. And you can also choose to respond to not so urgent work emails received after 3 pm, at home as you supervise your kid’s homework. I find that with this system, I get a lot of stuff done in a single day and I do not even feel like I have been doing a lot. It has been a big improvement in my life compared to the days I ran around like a headless chicken trying to get home things done separately from work. Deciding what to eat can be very complicated and time-consuming, for this reason, I choose to plan the entire week’s menu on the weekend. It gives me more time to think about how healthy the meals will be, who prefers what, how much of what I should buy and so on. By planning menus for an entire week. Dinner preparations after work become a lot easier. For one, I do not need to swing by the grocery store to pick up anything, because the shopping too is done on the weekend and two, I do not need to spare time to think of what I will be preparing since the menu is already set. With these tips, you can go about being a working mom without making it so obvious that your life is an everyday emergency. You really cannot sail through this all on your own. It is a lot easier if you have a team contributing to you being an organized working mother. If your kids are old enough to tell time, you will find that by letting them know your schedule for the day or week, they can act as personal assistants by reminding you about appointments, things you wanted to pick up, and they will try not to get in the way of important engagements. Adults in the home like a husband or extended family may also be able to help you out with some of your motherly duties to make it easier for you to do other things. Weekends for me are a time to take a break from the 9 to 5 hassle and focus on me and my family. I always schedule sometime on the weekend to just do things that I enjoy. Sometimes that involves a night out with the girls, catching up and being total “wine-holics.” Other times it is catching up on my reading or watching my favorite show on TV. Scheduling me time helps you live life more and appreciate the simple things in life, I find that this energizes me and makes it much easier to get through the week no matter what the daily grind throws at me. Since my life is not just about me, I also make time for family and especially the kids. During the week there may not be enough time to really have fun with the family, so the weekends compensate for that. This helps you be an organized working mom because if you maximize the time you spend with your family, during the week it is much easier to let the kids know you need to focus on your work so that on the weekend you are all in on whatever they may want to do. You will also need to fix some time on the weekend to plan for the week as I suggested earlier will help you be an unflappable working mom. So many mothers will find they spend a lot of time trying to find the right outfit. You can avoid this by thinking about what you are buying before you add it to your shopping list. Having lots of colorful clothes in your wardrobe may look beautiful but on a busy midweek morning, they can become the reason you are late for work or drop the kids off at school. It is best to have fewer colors which go together so that you can make a choice much easier. I know a few friends who just go for plain colors that blend into the professional world. Black, grey, blue and white are the colors I find really easy to match. Even better, create a capsule wardrobe of complimentary pieces only. Maybe it’s just me, though I doubt you have not experienced this. Doing your taxes take up a lot of time and cause a lot of frustration. So, why not be prepared? In my quest to become an organized working mum, I decided to keep small records of all my taxes and to break up the process of doing taxes into weekly tasks. This means when it is time to submit my tax records, I have less work to do and less stress, it also saves me from having to go over a pile of receipts. I also discovered a few Apps that can be used to help you do your taxes, this is a lot cheaper than hiring a tax expert, though if you are terrible at maths like my sister, I would suggest you hire an expert. Managing your money, will not only help you be a well-organized mum but an on budget mum too. Have you ever noticed how catching a cold or some other illness may throw you totally off your game? I once caught a cold and my entire household went into meltdown. It is for this reason that I try my best to avoid any illness that can be prevented. I exercise, eat healthily and have regular checkups and so far it is working well. Don’t make health excuses, it’s important for you and your family. As long as I’m healthy, I can be that organized working mom. Ready to get more done, in less time? Put these time management tips for WAHMS into practice with the FREE Printable Daily and Weekly Planners. They’re perfect for time-blocking and helping you plan ahead. Sign up below for your FREE Daily & Weekly Printable Planners + get weekly tips to help you slay your goals. Ready to be an organized working mom? Carol has a passion for all things neat, clean and organized. She is the editor over at Vacuum Koo. A wife and a mother to two sons, she understands what it means to balance work, home management and family. Great tips for staying productive. I love the idea of prepping and planning meals on the weekend. I can’t tell you how much time I’ve spent trying to figure out what to make when I’m already hungry! I am actually quite proud of myself because I think I do most of these! The one that I am bad at though is doing nothing. Between the kids, the day job and the blog there’s not a lot of time for anything else. That’s awesome, you are an organized mom for sure! I am in awe of any mama that can do all that she does + blogging! You’re amazing. Execellint information! I’m not a mom but it still applies. Thank you. Agreed – we can all learn a lot from any organized working mom. She does it all! Meal preps have been such a huge lifesaver. I even have friends over some times to make it fun. That’s a fantastic idea! Meal prep party – I am so trying that! Some really helpful tips over here! What do you think of fitbits? I actually got one for my boyfriend, maybe it’s time to get one for myself as well! Fitbits are pretty great for reminding you to stay moving. Which I’m sure as a mom on the go – moving isn’t a problem! Do nothing? That gave me anxiety haha. I mean I totally get your point but it’s hard. It’s definitely a skill worth growing. OMG me too, it’s so hard to just sit still. But, then again I’m an overworked workaholic on the mend. I do my best to at least chill out one day a week. I think it helps. Alerts to the Fitbit sound amazing! I’m a bit too afraid to get one because it will definitely tell me that I’m not moving nearly enough. Being a mum is hard enough without trying to run your own business too. I think your tips are so helpful and a reminder that taking care of yourself is equally as important as taking care of others. This is great advice for working moms! I’m not a mom, but I could probably follow some of these suggestions for myself too. Agreed, these tips are for anyone who wants to be more organized and productive – mom or not. I love these tips!! I especially like planning your day the night before. This helps so much for me because then I can have a game plan for what to expect for the next day. Also, taking care of your health as a mom is so important. Usually, we are the last ones we take care of, but it is crucial to maintaining a good life. Honestly, that’s like my secret weapon. I also like doing a good planning session on Sunday nights. We can all take a bit better care of ourselves. Work a little less, and rest a little more. The bookkeeping tip is a big one for me. I find that I am so much more effective in the other areas of my life if I’ve managed my finances well. I love the idea of a simpler wardrobe, too. It definitely takes time to get dressed in the morning, especially if there are too many options! I am the worst at bookkeeping! But, I’ve resolved that it’s less painful to just block off a weekend a couple times a year and catch up. In the meantime, I keep receipts in a folder. Oh, yes that helps! But if I’m honest I pretty much wear a capsule these days, so less time wondering what to wear every day. I agree with all of these! I especially love the idea of bringing home to work and vice versa. Happy employees = productive employees! I’ll take that farther and just say we should all work at home if we can. People are so much happier without having to deal with computing or transit. Love these! I just started buying easy to match clothes only (including more things that are one piece – nightgowns, dresses, rompers, etc.). It makes such a difference! Aren’t they awesome! Ohh yes, that’s a great point about clothing. That’s why I love summer. It’s so much easier, just throw on a dress or a romper and I’m good. These tips are awesome! Pinning for later! YES, congrats! I am so not in the place, but I’m working on it. And these tips are totally helping me! These are great tips for staying on track. It is amazing how quickly the whole house can break down when a parent gets sick, and even more so, how much more energy I have to get through the day if I exercise and stay fit rather than hook up the coffee IV. And all the planning ahead, that pays huge dividends. Getting sick can totally throw EVERYTHING off. I know for one that I can barely function when I’m sick. All the more reason for us to stay healthy! This looks like a great planner. I always do better at reaching my goals, big or small when i use a planner. Of-course finding the right planner can sometimes be a challenge for me. 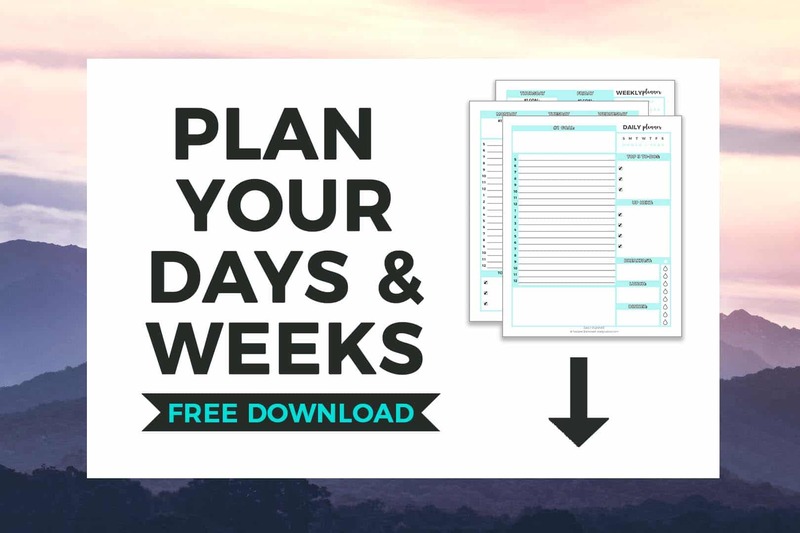 Seeing as I designed this to help working moms or anyone who needs an easy to use daily or weekly schedule – it sure is great! You should totally sign up for it. 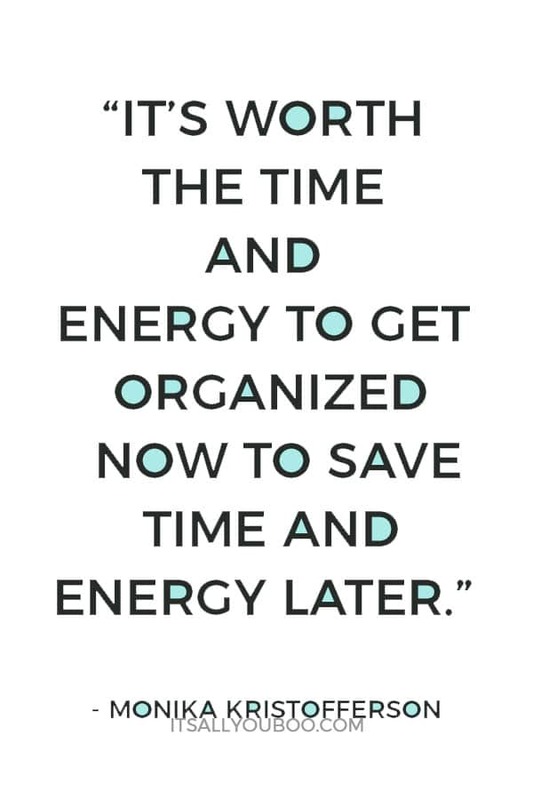 What wonderful tips for staying organized as a working mom. Meal planning is so important. Sharing your plans with the family helps everyone to get mentally ready for the week ahead, and helps everyone stay on the same page. Totally agree with you, Denay! It really helps when everyone actually knows the plan. So we can all be ready and prepared for whatever is happening. Gotta love meal prepping too! Having a planner is always a good idea. Putting your goals on paper helps them seem more concrete. I always have better success when I write things down. You’ve given me some really good tips on how to get things accomplished. Thank you! I am all about the planners! I cannot live or breath without them. Really helpful for staying on track and knowing exactly how to get where you’re going. Ah, I plan everything the night before! It helps sooo much! Great tips.. 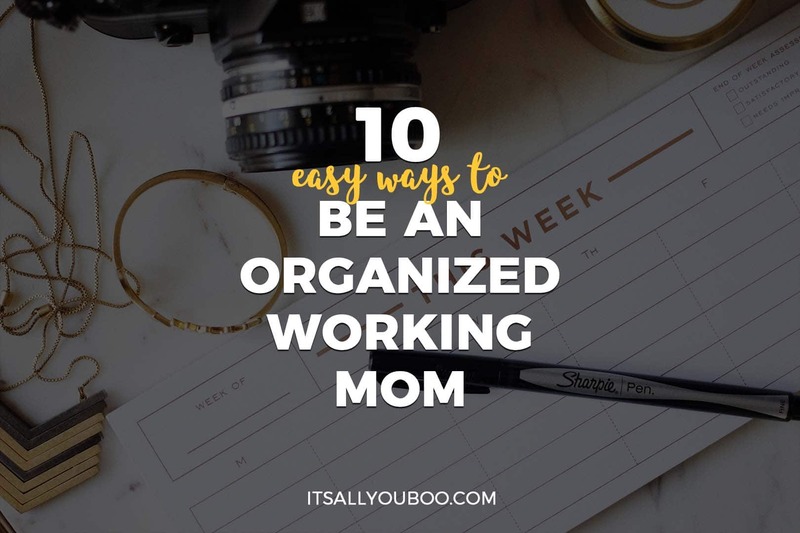 Although this is meant for working moms but am not sure it should only be applied for just working moms..
100% this post could be useful to anyone seeking to be more organized and productive. Whew! It’s nice to know we’re on the same page- I do most these already. 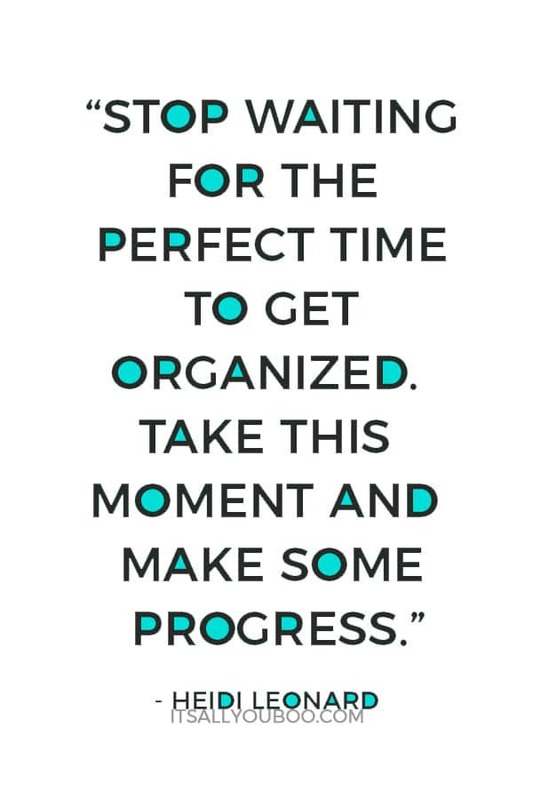 This post is a great reminder that a lot of being organized comes from great self-care and planning! We moms need to stick together as well as take time to care for ourselves so we can take the best care of our families. Congrats, you’re an organized working mom! Self-care is the best thing any of us can do for ourselves. I know it’s so in now, but it’s true nonetheless. I like that you mentioned technology in this post. I think it’s been such a lifesaver for me as an entrepreneur and mom of two under 10. Tech really is our best friend! So many great tools that are free as well. I love Asana and just Google Cal keeps me on task. Very good tips here. I plan my working the night before. It helps me stay focused. Yay, I do that too! The night before planning helps me sleep so well. No stress about the day to come. Yes, so glad this post is professional organizer approved! You’re so right, having a system does help us keep life in its lane. These are great tips. I’ve been a stay-at-home mom for quite a while now and I plan to join the work field soon. I also schedule my day the night before. It gives me an overview of how to manage my time. I have to work on doing my bookkeeping regularly. I’ve been slacking. I am studying for my Master’s degree, and the reading takes up a lot of time. You must be so excited about the change ahead. I wish you all the best at managing being an organized working mom. I so remember the days of doing my Masters, it is no small task! You got this though, planning really helps. When you are a mom, you need a lot of planning and organising to handle things. This is a very helpful list and pointers for moms. So glad you’ve found it helpful, Deepa! Yay for being organized.